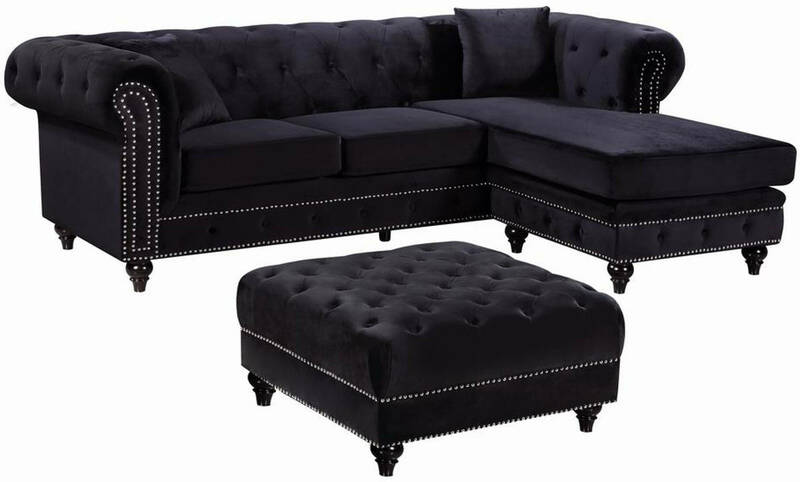 Lounge in luxurious style and comfort with this sleek Sabrina black velvet reversible two-piece sectional. Featuring elegant, plush velvet upholstery and a deep tufted back, this sectional is a little piece of heaven for you to kick back and relax on. Double row chrome nailheads give the sectional a contemporary element, and a reversible chaise offers a comfortable place to kick up your feet after a long day. Pillows are included as well to add to your comfort.